Within a short time of Subud’s first establishment in England, two pioneering “Susila Dharma” projects were set up. One was the nursing home, Brookhurst Grange, and the other was Whatcombe House (also known as the Sushiela Community), a home for maladjusted boys in Dorset. 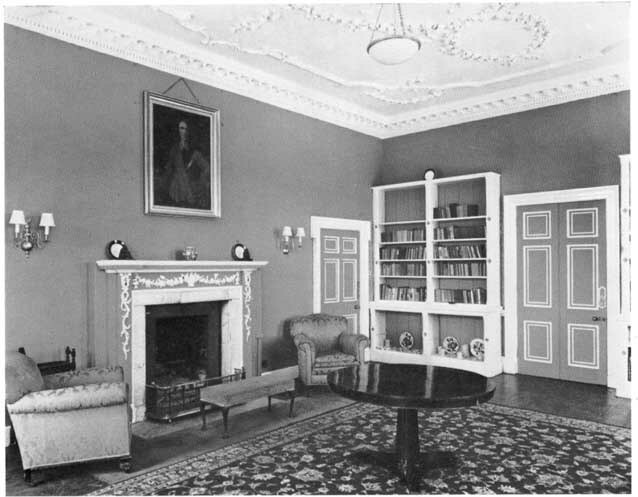 In this issue of Subud Voice we recall something of the vivid life of Whatcombe House. Our thanks to David Barker for writing an overview and helping us gather material. Our thanks also to Roy Preston, a “graduate” of Whatcombe House who went on to become a leading graphic designer. 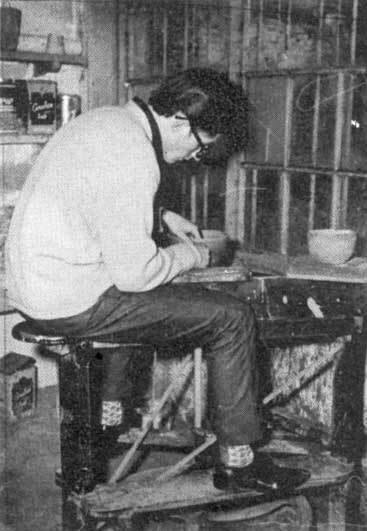 The project was set up in 1960 by Patrick Harding and Derek Inwood, both were schoolmasters who had attended the first Subud International Congress, which was held at Coombe Springs in 1959. Following the gathering, a Board of Governors was formed and Derek and Patrick found a suitable property near Blandford in Dorset, an elegant 18th Century house set high in a beautiful parkland setting. 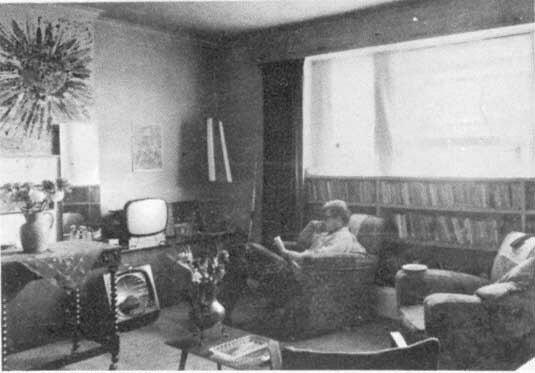 Patrick was a radical educationalist in the A. S. Neil (Summerhill) and George Lywward (Finchden Manor) traditions. He and Derek were experienced teachers accustomed to working with teenage boys, and able to gain their trust. Derek held a broad vision of education and was a fine painter. Carl and Denny Sleath, came as Bursar and Nurse. Myriam Bryans taught pottery. Many other Subud members served on the staff or as Governors. I joined the staff in 1961 and the community had an immediate impact on me. We followed Bapak's advice to do latihan every day and this took place following afternoon tea, in a large room on the first floor! I remember one boy walking round and round outside the house singing hymns whilst we did latihan He became a most gifted model maker and worked in this capacity for the BBC for a number of years. Whilst he was at Whatcombe this boy claimed that he was guided by St Nicholas of Ely, a Cathedral Builder of times long past. Who were we to argue, the model churches he made were exceptional? The regime was one of openness, and encouragement to find and develop one's skills and interests. These included the arts, farm animals (we had our own cows) and music. Some boys sat their GCE 0 level exams. After the evening meal an informal meeting was held, to ask if anyone wished to raise any points or comment. This helped to create a very inclusive feeling. I mostly felt that the community was protected. The majority of the boys came via Social Work Departments in London. Generally the boys were unable to fit in with school or family or both, and needed a different form of care and environment - which we were able to provide. One of the most vivid memories was when Bapak visited bringing Muhammad Usman and Edward Van Hien with him in the mid-sixties. We gathered in a large room at first floor level, overlooking the Dorset countryside. There were just a few staff members and myself, a visitor by then since I had left the Community in March 1963. Bapak invited questions and also enquired about the community and the educational approach adopted. Various activities were described including art, pottery, music and farming. Bapak emphasised the importance of keeping these activities going for the boys, but added that it would be the presence of the latihan that would truly help them. Bapak also suggested we keep records of the progress made by the boys individually, especially if Social Workers wrote letters or reports. These records could be shown to visitors, such as inspectors from the Home Office, if it was appropriate. Bapak asked who paid the fees - which were mainly paid by County Council Social Work Departments. He remarked that we should seek to be financially independent of the authorities. The Warden, John Fulcher, offered Bapak a Player’s cigarette. Bapak laughingly declined saying that he preferred a stronger tasting kretek and he offered one to John. Bapak beamed the most radiant of smiles and majestically raised his right arm skywards. Bapak then drove back to London to give a talk to the members. I attended the talk and Bapak asked for a committee to be formed to raise funds for the project. Simon Caradoc Evans promptly went into action in a number of enterprising ways and a steady stream of funds flowed towards the Community. This continued right up until the project closed in 1968. Mas Usman to Sharif Horthy: Will you tell us the story you told Bapak last night? Sharif Horthy: There is only one Whatcombe boy I have been in contact with – he appealed to the Almoners some time ago – and this boy was in Whatcombe quite near the beginning. He had a very difficult home background, his parents were separated and remarried, and he had been accused of stealing and sent to Whatcombe. While he was in Whatcombe he was opened. He was one of the few pupils who were opened. When he left he got a job and worked for about two years, after which he became ill. His illness was diagnosed as cancer, of a form that is incurable, but one which progresses very, very slowly. He couldn’t work after that; he just lived with a friend. At about the time when he came to the Almoners – as a result of one of the people who take an interest in Whatcombe House having kept in touch with him – he started to come back to the latihan and do his latihan regularly. Shortly after that the doctors suggested that his illness was getting worse, and that it would be good for him to have an operation, which is a very risky operation but would have a hope of curing his illness. Well, I advised him to write to Bapak about this, and also I advised him to ask about his work, because he wasn’t sure whether he should study, as he couldn’t have a job. His answer from Bapak was that he should not have this operation and, for the moment, until he recovers, he should not have a job; but he could study acting, which was what he wanted to do. Well, shortly after he wrote to Bapak he had an experience, where he woke up in the middle of the night and felt he was dying and that Bapak came and went away to get an injection. His landlord rang me in a panic. I didn’t feel worried at the time, I just did latihan. The next morning I rang up to see how he was. Well, it appears that after about two minutes he recovered, and the doctor couldn’t believe it. But he still had this illness, of course, at that time. Well, since Bapak arrived in this country, this young man rang me up and said he was beside himself with joy because he had been to see his doctors and there has been an enormous improvement in his cancer condition, an improvement which from the medical point of view is actually impossible. And at the same time he just heard from one of the recording companies that a recording of pop music he made with a friend of his will be published next month – although he has only just started studying. He asked me to tell Bapak this and especially to point out that he had been at Whatcombe and came to Subud through Whatcombe. Bapak: This also needs to be publicised. It is a proof of what happens in Whatcombe House. But not many people know about it, so they think Whatcombe House doesn’t serve any purpose. Yet what happens there is truly miraculous. Bapak asked the other day and it seems that sixty per cent of the boys have been helped and have improved. The boys instantly recognised that Whatcombe held some value for them and co-operated with the general running of the community to a greater or lesser degree. Shortly after arrival a boy's behaviour might alter to become helpful and co-operative as though we were obtaining a glimpse of the boy's future progress. This did not last long and soon extraordinary levels of regression were experienced by some. The road back to normality (whatever that is) was often hard for us all. 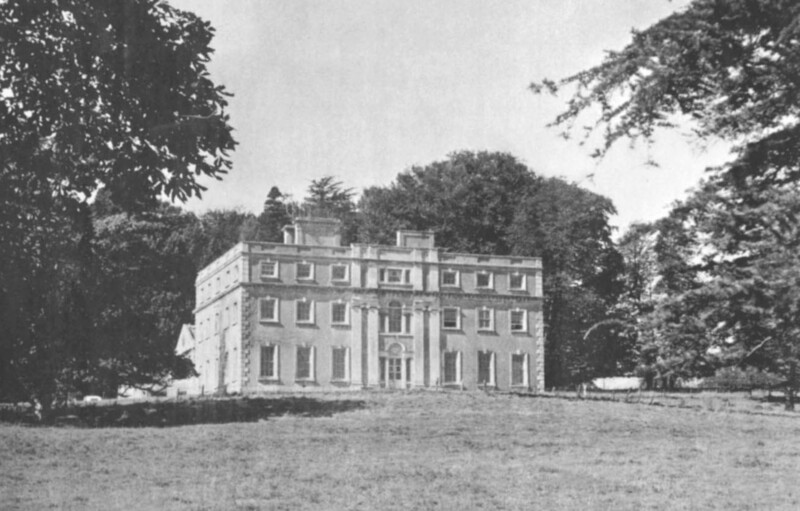 Some boys went out to work each day from Whatcombe House and successfully held down jobs. 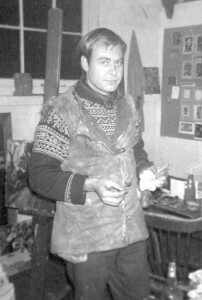 Roy Preston became one of the leading graphic artists in this country, winning International prizes and designing for top UK companies. Roy told me that Whatcombe had rescued him from what would have been a life in Mental Institutions in London. He also said that Whatcombe had remained with him always and he was writing his own experiences of living there for three years. Sadly there have been some tragedies in later years but no one can say that Whatcombe did not touch the boys deeply at the time. The community closed in 1968 in spite of Leonard Openshaw Stayner's valiant efforts to keep it going. The lovely old house has once again become a family home. It has changed very little and still casts its serene gaze over the beautiful Dorset parkland. I wondered what its thoughts are about those events long ago in the sixties. Stories about Whatcombe gather like moss on a stone. But these few at least are true. One afternoon one of the lads noticed the arrival of a more than usually nervous looking visitor. He rushed across, shook the newcomer warmly by the hand and said, “You are a stranger here just once.” Reprieve from the gallows could not have produced on the guest's face a smile of greater beatitude. A lesser man would have fled but not John Fulcher. He received her courteously in his office from which, not many minutes later, she emerged beaming on all and sundry and apparently quite mollified. She sat at the piano and played “Bless This House”. John smiled in his wry and quizzical fashion. “It's the soft answer that turneth away wrath,” was all he said. Apart from the commonplace problem of remaining solvent, Whatcombe’s basic and endless dilemma was how to get boys to subscribe to regulations to which they were by definition allergic. Boys who come to us are officially classed as being mal-adjusted, i.e. those in whom the acute sufferings of adolescence have been unnaturally prolonged. Each has a desperate desire to discover some framework of established order in which he can see himself as both secure and important. Screwed up in his own prison, each boy was at the outset sullen, suspicious, torn by a persecution complex and quite unable to bestow upon anyone the trust that in his experience had always been betrayed. In the undemanding, and cordial and dependable 'climate' at Whatcombe, there was the possibility of an astonishing transformation, albeit a long and painful one, and from it a balanced and undivided human being. The art room at Whatcombe was a converted shed a few yards away from the main building. 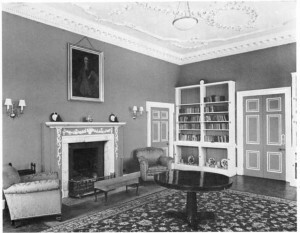 The first task in preparing this room was the removal of a reinforced concrete block eight feet long, three feet wide and two feet high, upon which had rested a diesel engine for providing electricity to the house. This took two weeks to remove, and three, foot-long cold chisels were worn away in the process. This experience established an atmosphere of work within the room which was cherished in the rule that said once in the art room you had to work. It was the only rule and was strictly adhered to. A further aid in helping the boys to draw and paint lay in the idea of the art room being the studio of a practicing painter. Most of the boys had acquired a dislike of anything that smacked of school, but to work alongside someone who gave no formal lessons and who would only help you if you asked, was another matter. Thus they were able to witness and share, in the struggles that are a part of all creative work. impregnable walls between themselves and other people. The task of the staff was to help take down these defences and the many ways of doing this revealed the personality of each member of the staff. But underlying their actions, was an inner calm and a refusal to react aggressively to the endless provocations. It was through the relationships built up in this way that the boys were able to work through their problems. But trying to maintain over long periods this state of inner surrender, was a strain. One's own lower forces were continually champing at the bit, demanding to be unleashed, looking for an opportunity to discharge their energy under the disguise of legitimate excuse and righteous cause. Under these pressures and the added difficulties of being new to each other, new to their new roles, new to community life, and in some cases new to the problems of teenage maladjustment, it was not surprising that relations amongst the staff were at times very difficult. But when things were going well there was at once a real sense of community, of purpose, and a feeling of brotherly affection which made the whole experiment worthwhile and a blessing. When we are young we spontaneously drag a stick through the sand to make zig-zag lines, breathe upon the window-pane, and draw through the mist, add moustaches to photographs, fork the mashed potatoes into plough-like furrows, doodle on fingernails, carve the school desk. These primitive instincts were encouraged in the art room; the hardboard was covered with areas of colour, the paper criss-crossed with lines, this surface scratched, that one smoothed, until the boy gained enough confidence to make images - strange landscapes then emerged, skeletons, violent death scenes, ghosts, haunted houses, crucifixtions, gallows, monsters, each boy working out his inner problems in his own way and in his own time. As in the latihan we experience an obvious process of purification with violent movements and much noise, so the boy goes through a catharsis, a purging of the emotions by expressing them in pictures. Having achieved a better internal condition, he is then more able to look outside himself, to contemplate the variety of nature and even begin to learn the simple facts of picture making. In a state of freedom from fear and inner tension, he can appreciate the world around him and want to take his place within it. one's own sense of direction. Now there were no laws to hide behind, no group to do his thinking for him, no one to tell him how to dress, what to read, what even to do. correspondence course, feed the chickens, and then at the evening meeting bring up the subject of birthday parties and whether beer should be allowed; what was next week's film to be and who was going on the boat trip to Holland. What about another summer art course in Weymouth this year? Do nothing. . . Or get a job in a local farm, work in a shop, go to the local tech. and learn to be a clerk, take a commercial art course, a ballet course, a drama course, drive a taxi, go to Germany, back to France, back to the United States. Do nothing, until you are bored to the bone and then any kind of activity becames a sweet relief. But certain duties were compulsory and each boy did his turn at washing up, sweeping the floor, or clearing away the tables. It was the duty member of staff who had the task of seeing that the boy did the job. . . But life at Whatcombe must not and cannot be captured by a list of outward activities. Indeed, the casual visitor would find few of these compared with the more conventional establishments for maladjusted teenagers. A list of inward activities would be nearer the truth of how it was at Whatcombe, for the inner condition is the reality behind appearances: outward action can be a cover for inner stagnation. But this is a subject we all know something about since joining Subud. The latihan did two obvious things. It bound the staff together by providing a point of contact with a communal source of inspiration, and it provided a means of throwing off the heavy states that one experienced and replaced them with a condition of calm openness. This in turn affected the inner state of the boys and helped to heal them of their illness. But if Whatcombe was of value to the boys it was as much if not more so to the staff and all those who have been in contact with it. But that is another story. We all have a Whatcombe inside us, a strange and magic place built upon a Himalayan height way above the clouds. There v/e can become all that our fantasies wish us to to be, a cowboy, a poet, a painter, a general, but a few have been fortunate enough to have found their Whatcombe in Dorset.